Shockingly, there are still a few copies of “Mountain City” left on Phinery’s Bandcamp page. I say this in part because German Army’s name seems to lead to countless “Sold Out” red stamps on the site, and partly because I sat on this album for so many months. The truth was, I checked out this album out of curiosity more than anything. I walked the fine line between being fairly accused of pretending to like the mysterious group, and admiring what they do without getting much out of it. The issue with German Army is they do many things quite well. 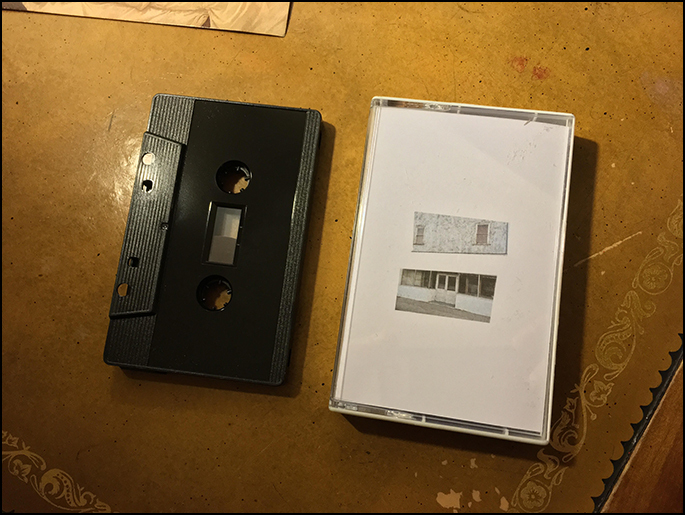 Unlike much of tape culture’s obsessive branding (same person, different project, different name is the normal procedure), German Army tapes don’t indicate any length or genre. You might have a guess as to what you’ll get based on the label, and I took a shot at finding my entry point into their work through this tape, an association with the beloved Phinery. Phinery churns out so much good music, it’s easy to take it for granted, and yet my expectations were that whatever German Army I found here, it would be good. That bet paid off. “Mountain City,” in my first passive listen, was somewhat conventional for the label. There weren’t DIY-Autechre squeals, noise, electroacoustics, or progressive electronics. Instead, surprisingly, what unfurled was songs. I don’t think I was ready to reach a conceptual common ground with this album at first. However, as the months passed, this record became infectious. Think of this album as existing thematically on similar turf as a Sublime Frequencies collection, but in a very different geographic setting. Here we have work songs, blues, that fine line between a collection of traditional songs, and a conceptual shell of field recordings capturing these works. It could be the work song, hillbilly version of Ekkehard Ehlers’ “A Life Without Fear,” or recent work by the Caretaker, its scratchy voices as distant as any reclaimed jazz. Indeed, I think time gave this album even more importance. Throughout the election, we heard pleas to remake these forgotten towns, perhaps the source material for some of what’s here. And yet, because of prices, because of aging, because of a changing world, those towns will never come back. Their echoes have found their way into this tape; perhaps this will one day be a cherished relic in some collector’s home, the last resting place of these voices of toil. And, to the music specifically, perhaps you can imagine what you’ll find, though the impact only really occurs with regular, late night listening. Traditional instruments, ever so slightly pitch shifted now and then, sometimes seemingly looped, scratchy and distant with a healthy dose of echo and reverb. The source material itself seems familiar, but German Army have worked to alienate things – this touch of distance allows enough dissociation to hear this music as native American (not Native American). This is a reverent, masterful set, one that transports you to different times and places, places that perhaps don’t quite exist in the ways we’re remembering them, places that might not be fully content in their absence. Hurry over and grab a copy.